On the last ordinary day of her life, Abby Bennett feels like the luckiest woman alive. But everyone knows that luck doesn't last forever. As her husband, Nick, and daughter, Lindsey, embark on a weekend camping trip to the Texas Hill Country, Abby looks forward to having some quiet time to herself. She braids Lindsey's hair, reminds Nick to drive safely and kisses them both goodbye. For a brief moment, Abby thinks she has it all—a perfect marriage, a perfect life—until a devastating storm rips through the region, and her family vanishes without a trace. With a voice that resonates with stunning clarity, Barbara Taylor Sissel delivers a taut and chilling mystery about a mother's love, a wife's obsession and the invisible fractures that can shatter a family. Life can change in a single moment and no one knows that better than Abby Bennett. The story begins with her husband and daughter heading off for a weekend camping trip, leaving Abby at home for a little peace and quiet. The area they were headed toward experienced strong storms and flooding and they seem to have just vanished. Although their bodies aren't recovered, Abby refuses to believe that they are gone. As the months go by, Abby begins to doubt not only her husband, her marriage and her sanity. Is it possible that Nick has left her and taken their daughter? The more Abby refuses to accept the truth, the more she realizes that she may not know it even when it appears. Evidence of Life is a stirring story of one woman's search for her family, truth and possibly even her sanity. Abby is pushed by her son, mother and mother-in-law, friends and even law enforcement to accept that her husband and daughter are dead. Month after month goes by with Abby valiantly searching for some sign that Nick and Lindsey are still alive. She finds it impossible to accept that they could just disappear without a trace. Just when it appears that all hope is truly lost, Abby is pulled into a mystery that threatens to shatter her belief in Nick and their marriage. 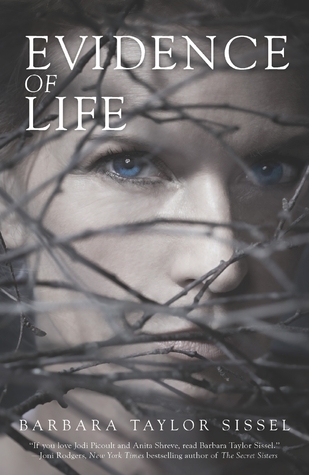 Ms. Sissel has presented a heart-wrenching tale of one woman's fight to find the truth at all costs. I found Evidence of Life to be a fast-paced, psychological thriller that kept me on edge until the very end. Disclaimer: I received a copy of this book free for review purposes. I was not paid, required or otherwise obligated to write a positive review. The opinions I have expressed are my own. I am disclosing this in accordance with the Federal Trade Commission's 16 CFR, Part 255: "Guides Concerning the Use of Endorsements and Testimonials in Advertising." Follow the tour by clicking here. Vivian, I am so sorry to be so tardy with my appreciation for your lovely and thoughtful review! I'm so grateful to have you share your thoughts about Evidence of Life with your followers and thrilled that you enjoyed the book. As a newer author it means more than I can say to get this sort of wonderful exposure. Thank you for taking the time and for everything that you do to help readers discover authors, whether old or new!